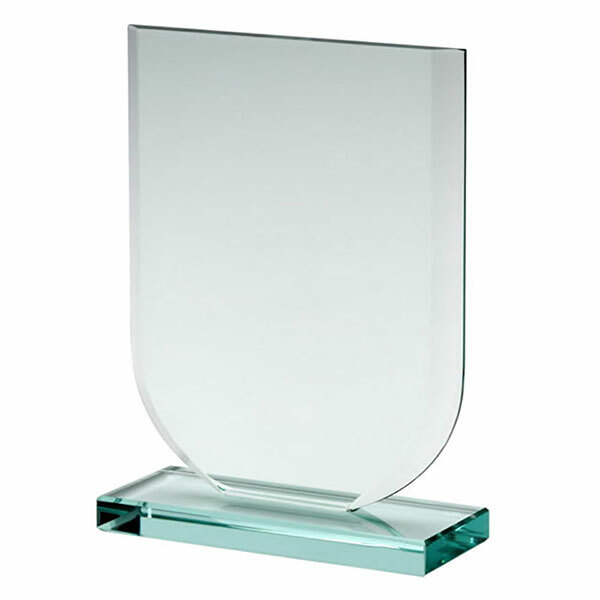 Jade crystal shield flat glass awards in 10mm thick glass. 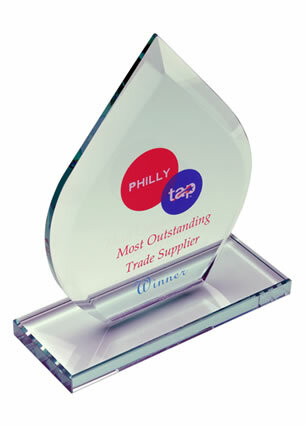 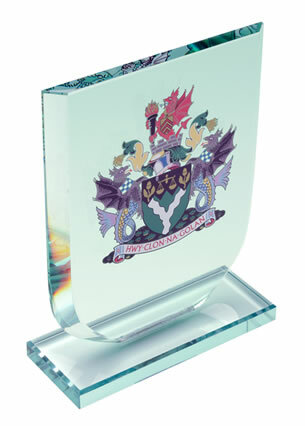 Elegant shield design award, 15.5cm tall, offered at low prices with low-cost engraving. A shield is a classic award design, used to convey tradition, strength and reliability, and these jade crystal shield awards are no different. 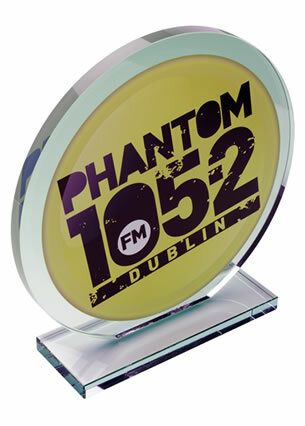 Made in 10mm thick glass, they are thinner and slightly lighter than our 12mm and 15mm flat glass awards and so can be offered at lower prices. 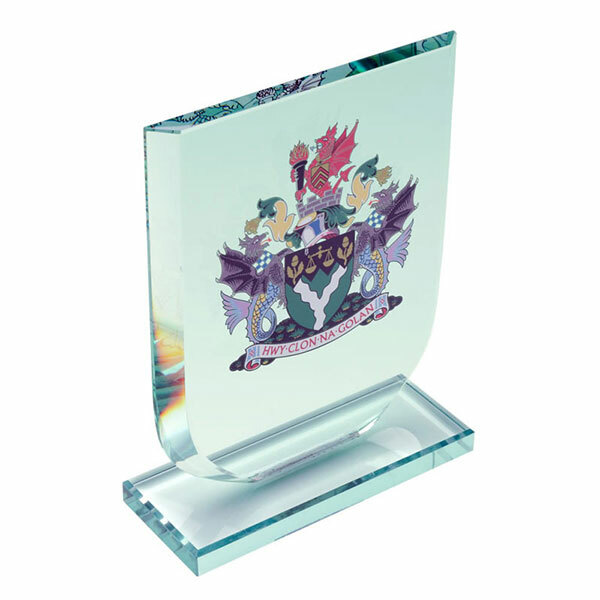 The flat front of the 15.5cm tall awards shield is perfect for engraving with details of your event or achievement, and these glass plaques are offered with low-cost engraving.